A passionate and original new voice of the African-American literary tradition. Chris Jones has a gift for creating desire-a result of his own passionate desire to be anywhere but where he is, to be anyone but himself. Sick of the constraints of his black working-class town, he uses his knack for creating effective ad campaigns to land a dream job in London. But life soon takes a turn for the worse, and unexpectedly Chris finds himself back where he started, forced to return to Philadelphia where his only job prospect is answering phones at the electrical company and helping the poor pay their heating and lighting bills. Surrounded by his brethren, the down and out, the indigent, the hopeless, Chris hits bottom. Only a stroke of inspiration and faith can get him back on his feet. The funny and moving tale of a young black man who, in the process of trying to break free from the city he despises, is forced to come to terms with himself. Mat Johnson received his MFA from Columbia University. He returned to his native Philadelphia, with his wife and daughter, after living in Harlem for several years. 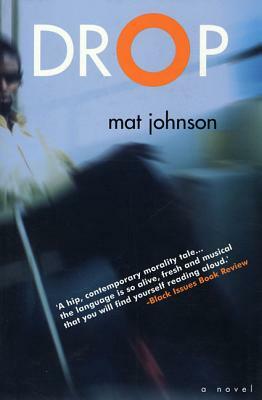 Drop is his first novel.